This was a key event in modern Japanese history. Intriguingly three of the films in the Ritrovato programme were set round this event. It would seem that it had particular relevance in a period dominated by the military and in which the military and right-wing grouping constantly referred to the values associated with the Samurai. “Promise me, starting today, you won’t do anything wrong”. Sanpei will be true to the promise he gives, we even have the scene where he is guilt-struck after purloining a young boy’s coin. Years on Sanpei, now Onuma, has become the Mayor and is a wealthy and respected citizen. Sogabe’s investigations lead to Onuma attending a court hearing and clearing a man wrongly suspected of being the escaped convict Sanpei. Another flashback fills out events at this point. Onuma has also encountered the case of Ofude (Hanbusa Yuriko), hospitalised after losing her job. Despite Onuma’s care she dies. 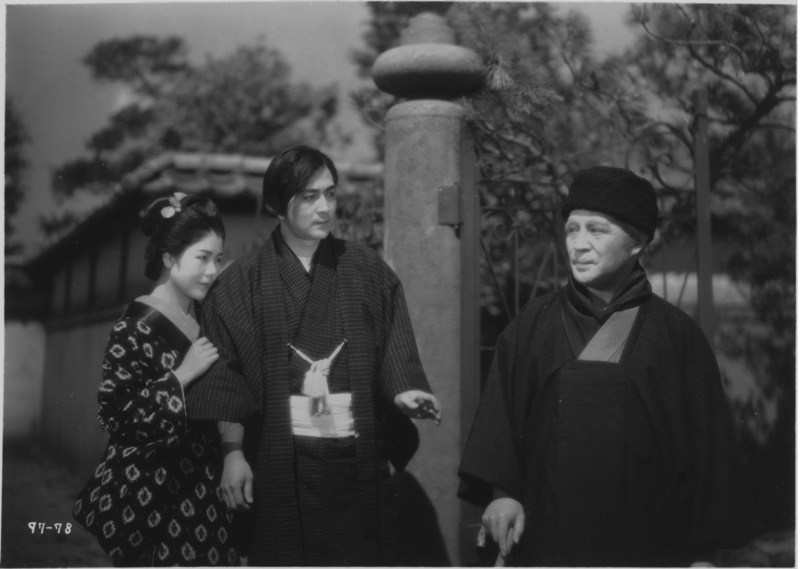 When he flees because of the discovery of his past he goes to succour her daughter Chiyo (Katagiri Hinako), in the ‘care’ of exploitative foster parents. When they move on it is with a doll that he has bought Chiyo. “’Give your children the dolls they like’. At which the two men laugh. It will be clear that the film is fairly faithful to the Hugo novel. The opening, set at the point when Sogabe once more encounters Sanpei/Onuma, is very effective: as are the flashbacks that fill in the story. Where the film replaces French events and places with Japanese these are well chosen. Whilst the Rebellion may speak to 1930s Japan, in terms of the history it is the obvious conflict that is equivalent to the Paris insurrection in the novel. The cast are good and Okochi Denjiro is splendid as the Japanese version of the immensely strong Jean Valjean. 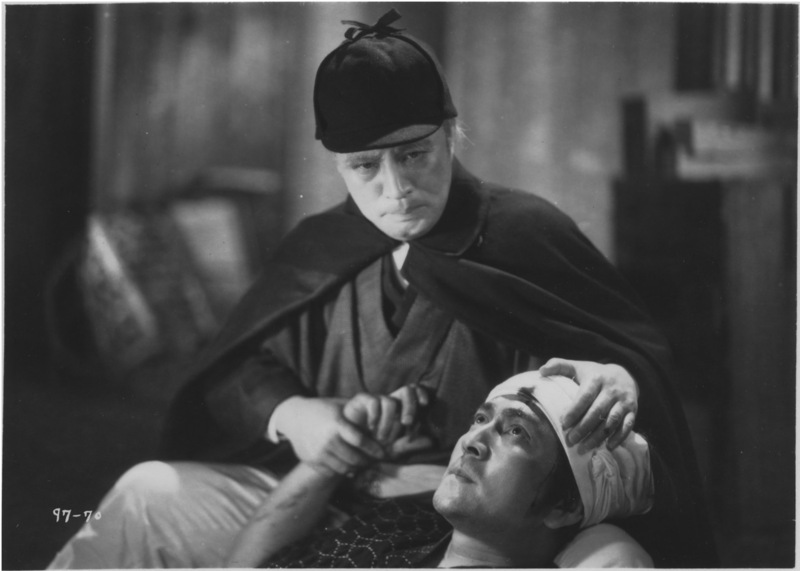 The script does not give Maruyama Sadao’s version of Javert the obsessive drive for what he considers justice, but he does effect the relentless pursuit of the convict. The film ran for 127 minutes in a 35mm print with English subtitles. So, as with most screen versions, there is considerable compression. But, as will be clear, what many readers remember from the novel is there on screen. 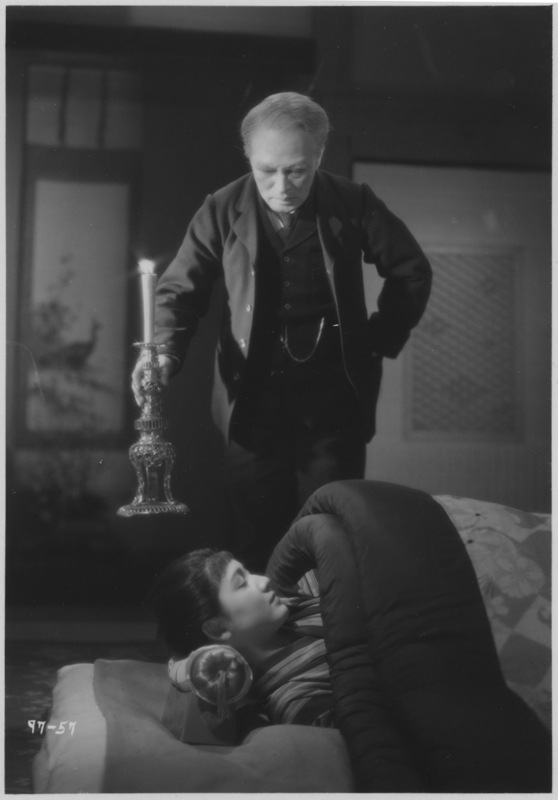 This entry was posted on January 23, 2018 at 11:32 am	and is filed under Japanese film, Literature on Film. Tagged: 35mm, Il Cinema Ritrovato. You can follow any responses to this entry through the RSS 2.0 feed. You can leave a response, or trackback from your own site.